Toddlers with cavities: Bad parenting? The number of toddlers and preschoolers that are coming into dental offices with cavities is on the rise in recent years. Is this the result of bad parenting, or is something else to blame? Read on and decide for yourself. 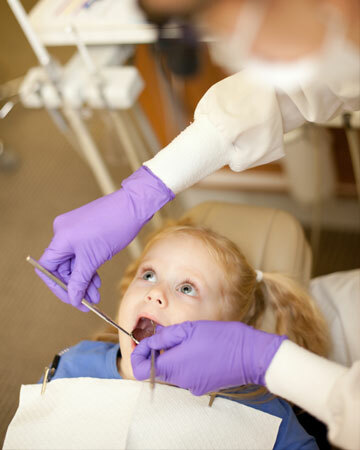 A case in Washington state highlights a recent increase in dental work for the very young. A 2-year-old boy named Devon Koester recently went under anesthesia for x-rays and subsequent dental work after they discovered 11 of his 20 baby teeth had cavities. His mother admitted that she had more on her mind than brushing his baby teeth when they first came in and didn’t begin brushing them until he was 18 months old when they noticed they were no longer pearly white. Dentists around the country are reporting more and more little ones are coming into their office with tooth decay so extensive that they often require general anesthesia for the repairs. There is no specific income or education level in the families that can be attributed to this startling trend. Many dentists claim that lax parenting is often to blame, coupled with an increase in sugary drinks and snacks, particularly around bedtime. Parker, mother of one, did the same. “Cricket was play brushing with me as part of a bedtime routine since before she got teeth,” she reported. Starting young may help your baby grow used to the brush and the activity, and many moms report that their toddlers and children love teeth-brushing time. Slacking off in this department really isn’t an option if you want to give your child the best start to their oral health possible.